The centerpiece of Obama’s November 24, 2014, executive actions on immigration was the announcement of the Deferred Action for Parental Accountability (DAPA) program and expanded Deferred Action for Childhood Arrivals (DACA). When combined, these two programs were expected to positively affect up to 5 million people with protection from deportation and employment authorization for a renewable 3-year period. But both of these programs are blocked by court orders. There were additional executive actions issued on that same day that affected immigration enforcement policy. One is a new policy for ICE that addresses which undocumented immigrants are priorities for deportation, and another is a program called Priority Enforcement Program, or PEP, meant to improve relationships with local law enforcement. 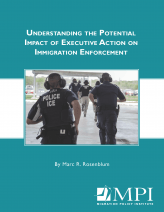 A new report named Understanding the Potential Impact of Executive Action on Immigration Enforcement Policy published by MPI shows that the enforcement policy is actually could dramatically reduce the number of deportations carried out by the Obama administration. MPI estimates that 87 percent of undocumented immigrants will not be the focus of deportation efforts if ICE follows its new policy guidelines strictly. Based on an estimate of 12 million undocumented immigrants in the United States, this translates to more than 10 million that will not be pursued for deportation. This is roughly double the number of people that would have been protected by the DAPA and DACA programs. The memo issued by Department of Homeland Security Secretary (DHS) Jeh Johnson modified previous DHS immigration enforcement policy. Under the new enforcement guidelines, ICE will focus on three target groups. The first includes felons and is considered the highest priority group. Second-priority targets are “serious misdemeanants” and those attempting to illegally enter the United States after January 1, 2014. Finally, those with a removal orders issued after January 1, 2014, are third-priority targets. Priority One: National-security threats, noncitizens apprehended immediately at the border, gang members, and noncitizens who have been convicted of felonies as defined in immigration law. Priority Two: Noncitizens convicted of three or more misdemeanors or one serious misdemeanor, those who entered or reentered the United States unlawfully after January 1, 2014, and those who have significantly abused visa or visa waiver programs. Serious misdemeanors are defined as offenses involving domestic violence, sexual abuse or exploitation, burglary, unlawful possession or unlawful use of firearm, drug distribution or trafficking, driving under the influence, and other crimes for which a defendant was sentenced to actual custody of 90 days or more. Priority Three: Noncitizens subject to a final order or removal issued on or after January 1, 2014. Only about 2 million of the estimated 12 million undocumented immigrants would fall under these guidelines. 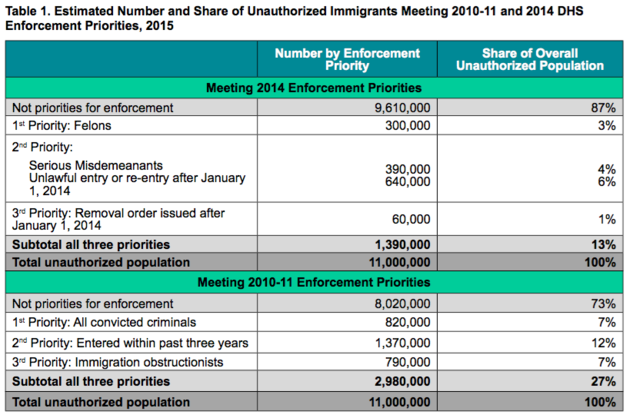 Previous enforcement guidelines issued in 2010-11 included a much larger percentage of the undocumented immigration population. Current guidelines target less than half of immigrants than did the 2010-11 enforcement priorities, as seen in the MPI table above. What’s more, MPI estimates that DHS will complete approximately 25,000 fewer removals from the interior of the United States if the new immigration enforcement policy is fully implemented. This could bring total enforcement removals below 100,000 annually for the first time since 2006. Obama’s executive action for immigration enforcement policy focuses on the border instead of interior removals. 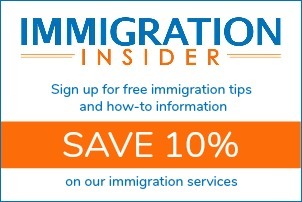 This means that the undocumented immigrants most likely to benefit from the new immigration enforcement policy include non-criminals who entered the U.S. before 2014, and who have not been ordered removed since that time. And with the introduction of PEP, only non-citizens who have been convicted of serious crimes, are gang members, or are serious threats to national security are likely to be deported. Learn more about DAPA by visiting the DAPA Resource Center or take the DAPA Eligibility Quiz to see if you may qualify for the program once it is implemented.